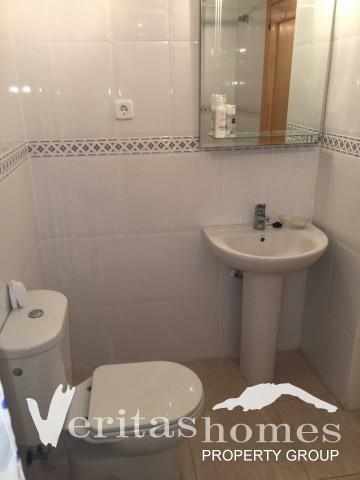 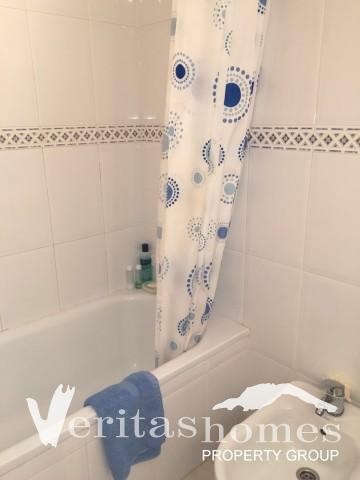 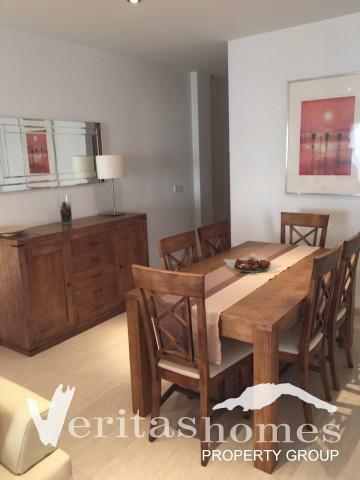 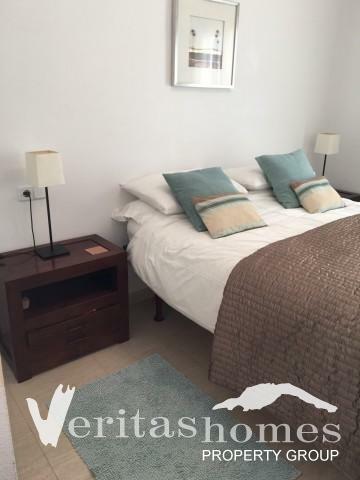 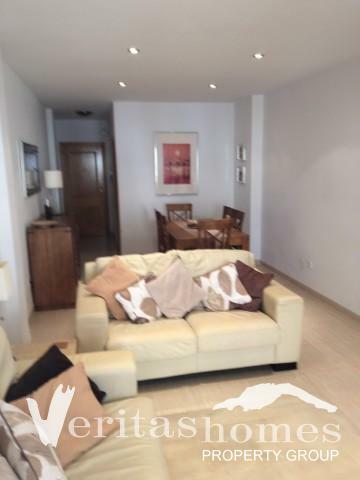 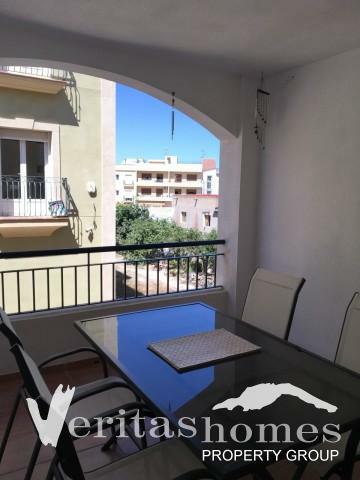 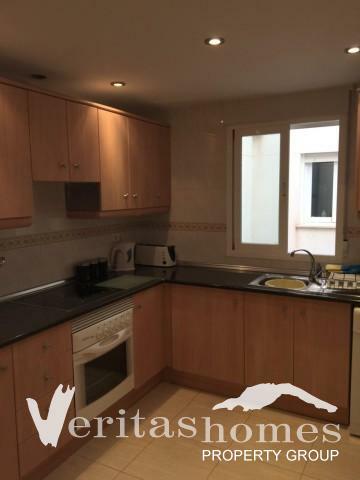 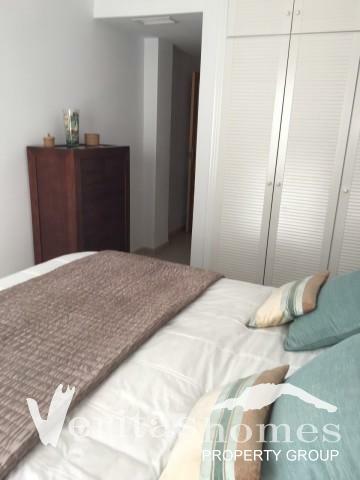 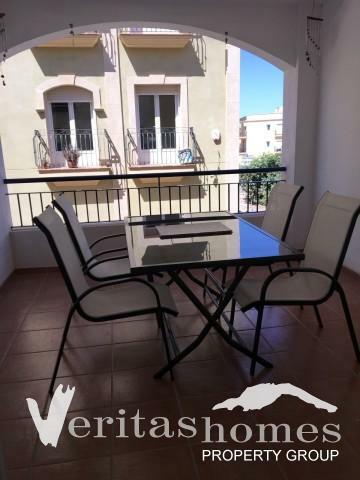 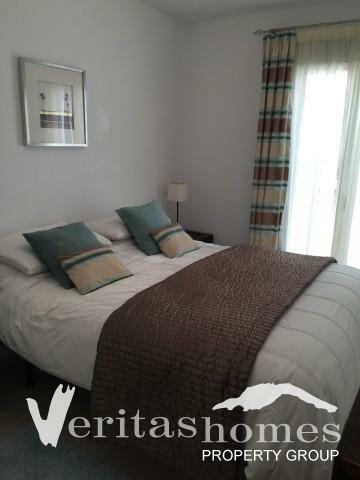 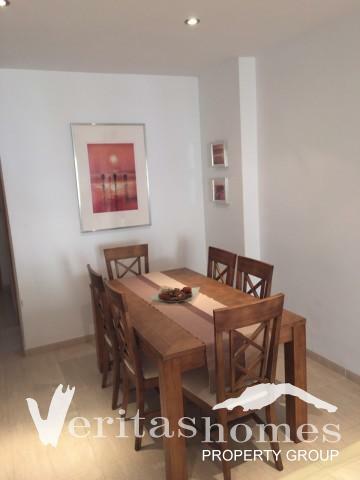 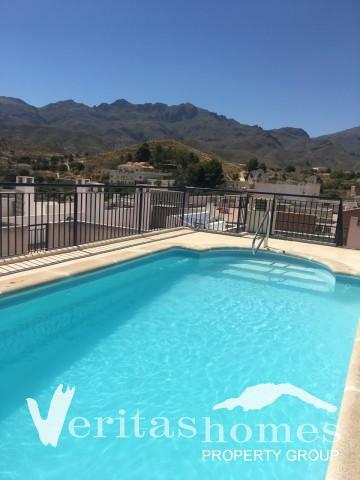 2 bed / 2 bath extremely well presented apartment in the heart of Turre with private terrace and underground parking in a nicely kept residential building with communal lift as well as swimming pool on the roof top offering 360° views. 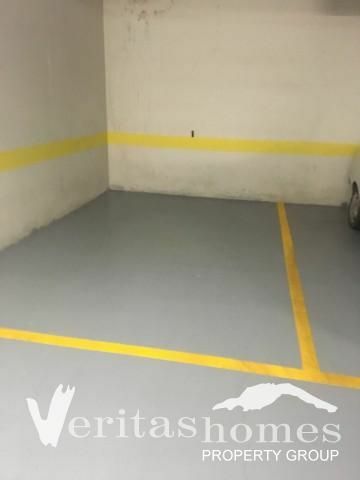 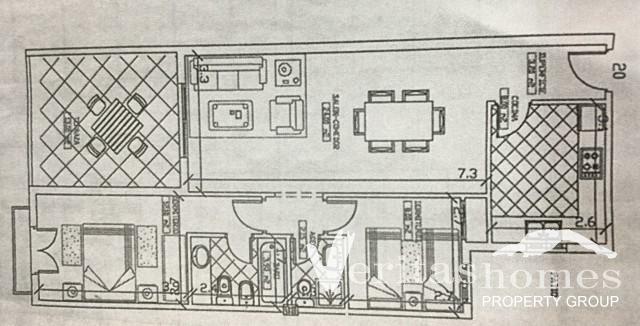 All in all the property has a private area area of 100 mts2 distributed between: 70 mts2 for the apartment itself comprised of entrance hall, living / dining room, kitchen, 2 bedrooms and 2 bathrooms; 13,00 mts2 of terrace off the living room; and an underground parking space with 13,80 mts2. 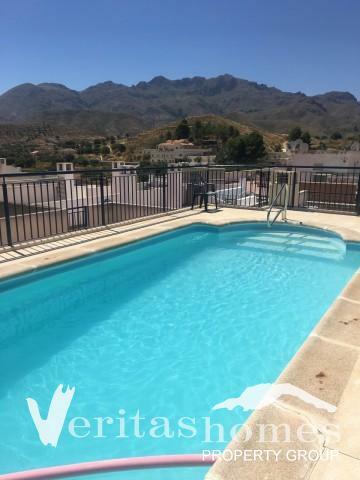 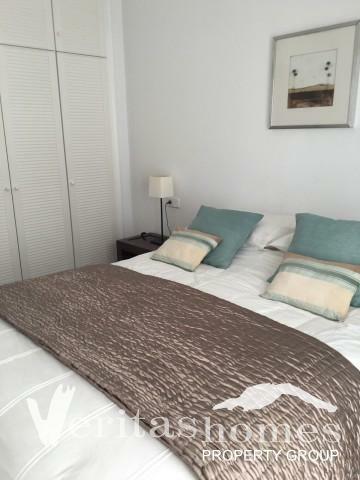 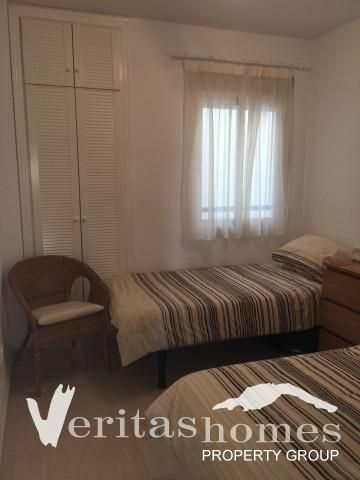 This is a great opportunity to purchase a nicely cared for property ready to move into and in the heart of the Village and therefore within walking distance to all amenities and services as well as a short drive to Mojácar Playa, Garrucha and so on. 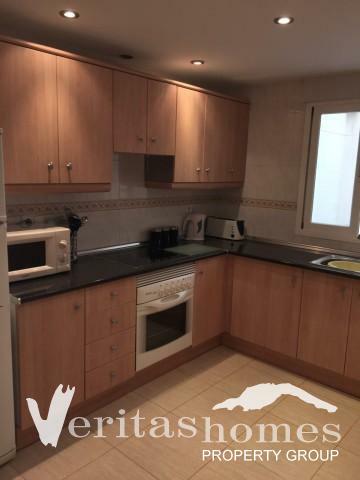 The property is also within a short drive distance to several golf courses. 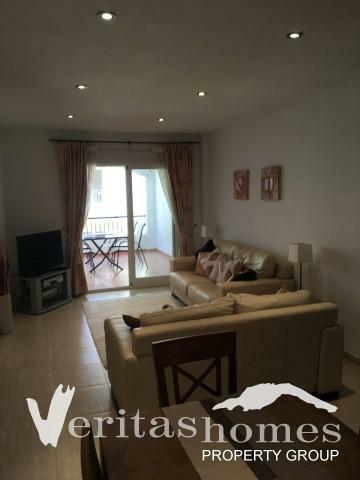 The airports that serve the area are Almería which is 45 minutes’ drive, San Javier in Murcia at about 1 hour and quarter and Alicante at about 2 hours.